For those customers not taking advantage of Southern Counties Lift Services comprehensive cover, repair work will fall outside of our standard contract for routine visit based maintenance. As a result, we provide a highly cost effective repair service, estimating everything we do and gaining your approval before we start work. 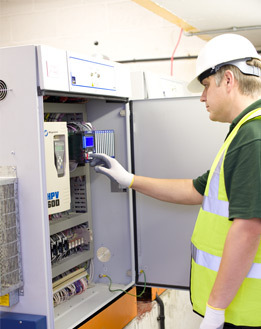 However, we dont only repair and upgrade equipment managed under a Southern Counties Lift Services contract. As experienced lift engineers we will undertake repairs and upgrades on any manufactures lift equipment and will confirm with our customer that standing contracts are not held by Southern Counties Lift Services are not infringed. For those customers who have had their lifts benchmarked by Southern Counties Lift Services at the outset of a lift maintenance contract, we can track and identify fault patterns and failures as they are experienced. Should a recurring lift faults occur, with our customers agreement, we will initiate an on-site lift survey, diagnosis and report for discussion with one of our Management Team.